WELLINGTON – Property investors in New Zealand are seeing tax liabilities which are only a fraction of those paid by people saving for their retirement. In a statement issued on October 10th, Peter Neilson, the former chief executive of the Financial Services Council of New Zealand, called for a rethink of the taxation of the country’s retirement savings system, KiwiSaver. KiwiSaver is a nationwide retirement savings system, whereby a percentage of an employee’s pay is deducted from their wages and invested into a managed fund. Over the previous financial year, approximately NZD 25.4 million was invested in the default funds assigned to taxpayers upon entry into KiwiSaver, and a further NZD 140.8 million was deposited into funds which were specifically chosen by the saver. Australia could be AUD 1 billion better off each year if it dropped a number of tax breaks aimed exclusively at retirement-aged Australians. New research released by the Australian think-tank the Grattan Institute has called for a wind-back of the tax breaks offered to older Australians. Currently, senior Australians are eligible to enjoy high levels of rebates on private medical insurance, Seniors and Pensioners Tax Offsets (SAPTO), and a higher Medicare levy income threshold than the one faced by younger taxpayers. The think-tank called the offsets and tax breaks “unduly generous” and without any economic rationale. LONDON – Millions of UK retirees could see their savings taxed at a rate of 55 percent, because they saved too much over their lifetimes. New research conducted by the UK insurance provider Aviva indicates that as many as 1.5 million UK taxpayers will face a tax rate of 55 percent on any withdrawals they make from their retirement savings. Currently, any taxpayers who save more than GBP 1.25 million for their retirement over their entire lifetime will face a penalty tax of 55 percent. However, in April this year, the threshold will be lowered from GBP 1.25 million to GBP 1 million. 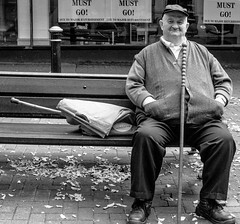 WELLINGTON – The New Zealand government is being urged to evaluate the tax treatment retirement savings in order to ensure that taxpayers do not meet a cash shortfall with age. In a statement issued on October 14th the New Zealand Financial Services Council (FSC) released a set of recommended tax changes, which could greatly encourage New Zealanders to make more use of KiwiSaver, the national retirement saving system. According to the Council, in order to have a comfortable retirement, the average New Zealander needs to save at least 10 percent of their income for a period of 40 years from the age of 25. However it was suggested that the contribution level could be reduced to 7 percent if the government implements sensible tax and investment policies.